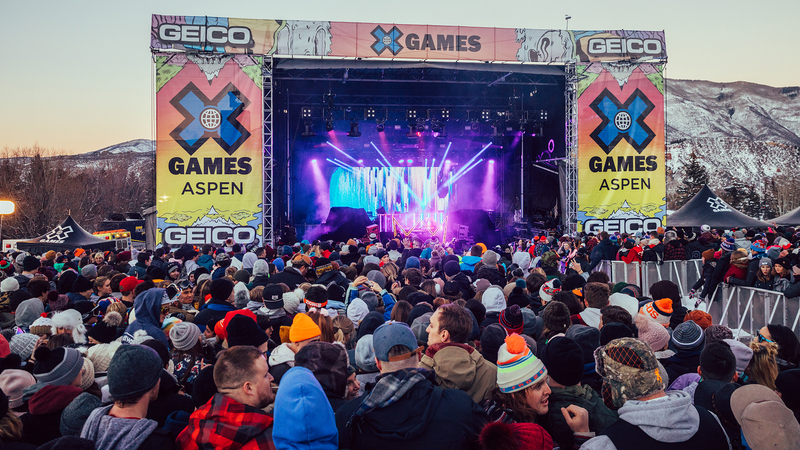 Since the sport of freeskiing was introduced to the Winter X Games in the late 1990s, the world's best freeskiers have competed and pushed skiing progression at the X Games. 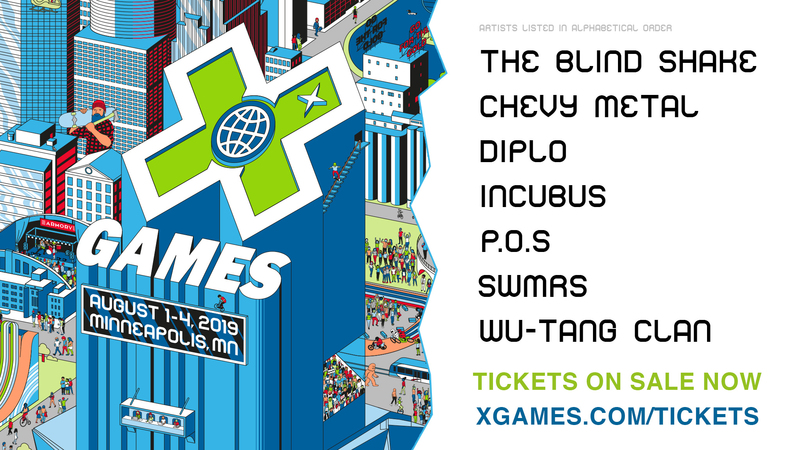 Two decades later, X Games has progressed alongside freeskiing to the point that each event has been touched by the elite greats of freeskiing. 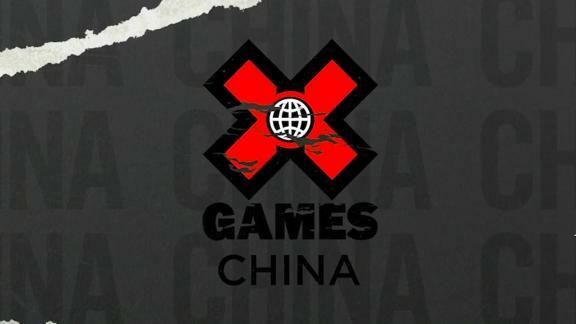 Here, XGames.com presents the top 20 X Games freeskiers of all time, spanning from the 1990s to the present. With 12 World Cup victories between Downhill and Super G, Daron Rahlves -- who won the famed Hahnenkamm downhill in Kitzbhel, Austria in 2003 -- is considered one of most accomplished speed skiers in American history. 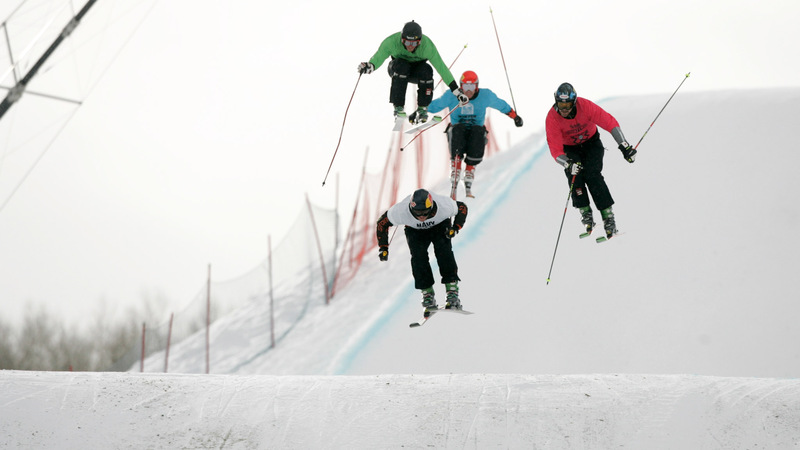 Rahlves joined the Skier X roster for the first time at X Games Aspen 2007. With the best racing pedigree on the roster, he quickly became known for making exciting and bold passes, and he went on to win the discipline in 2008. 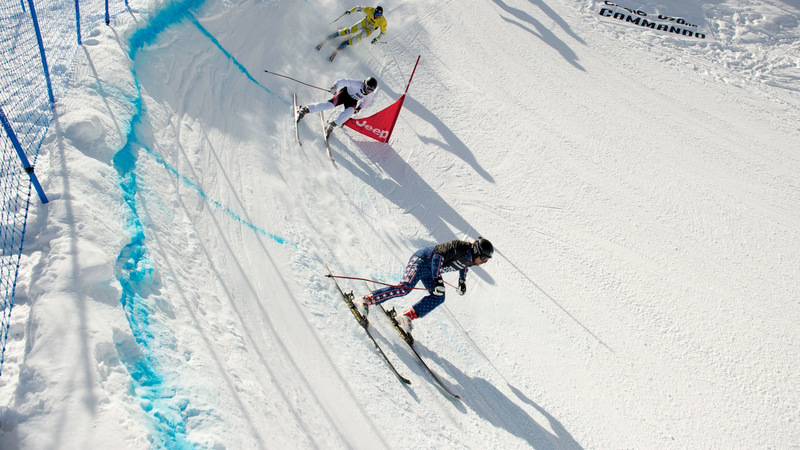 The California native made a fourth trip to the Olympics in 2010 for Ski Cross before retiring from racing in 2012. He remains active with his sponsors, Red Bull and Atomic, while raising his family in Truckee, California. 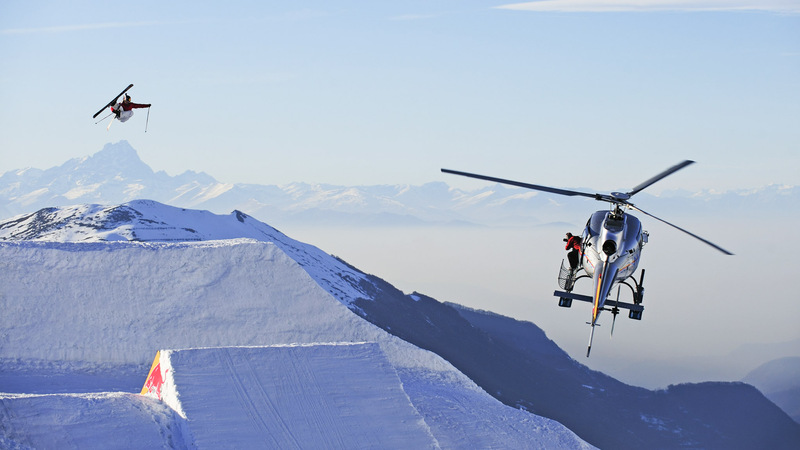 French skier Candide Thovex is simply an enigma. Over the course of an eight-year span, Thovex won every discipline at X Games including Big Air (2000), SuperPipe (2003) and Slopestyle (2007). He then parlayed his park skills into the backcountry and went on to win the World Freeride Tour in 2010. Creative both on and off the hill, Thovex produced his own ski movie in 2013 called, "One of These Days." Filmed mostly with a helmet-cam near his home in La Clusaz, France, the ski edit was so popular that Thovex went on to create two more editions. Collectively, the film series has now garnered 37 million-plus views on YouTube. One of the first women big mountain stars, Wendy Fisher used her ski racing chops to shred backcountry lines unseen before by women skiers. A former US Ski Team member and 1992 Olympian, Fisher was the leading lady for Matchstick Production for years. 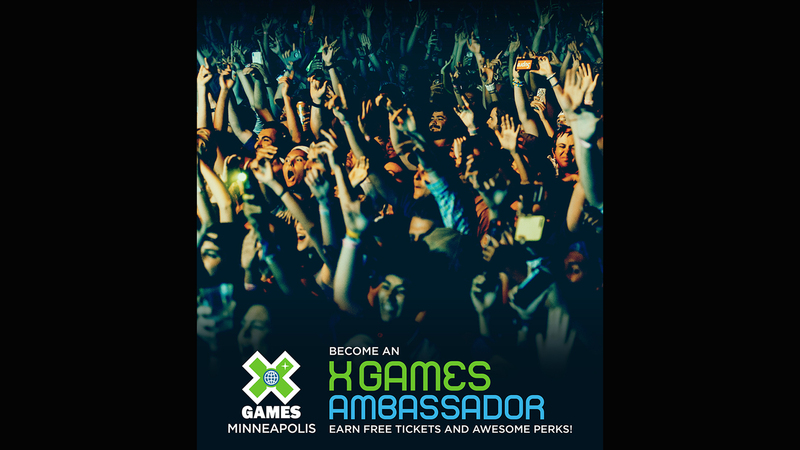 She competed in Skier X once when X Games touched down in her hometown of Crested Butte back in 1999. 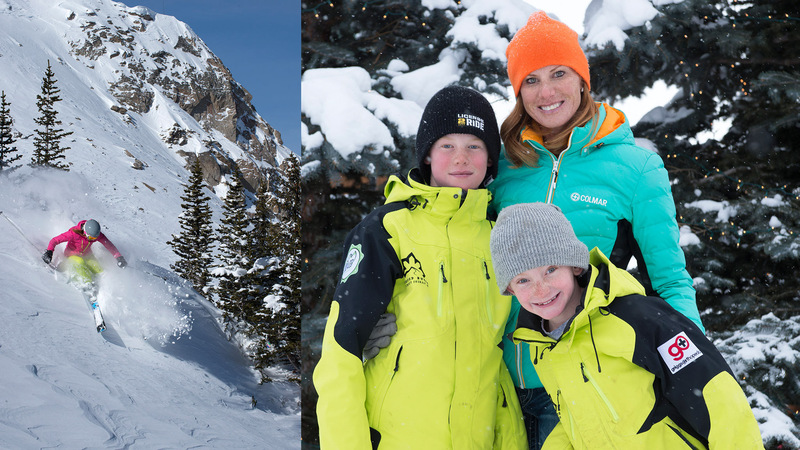 She's now a ski ambassador for Crested Butte Mountain Resort where she teaches ski clinics while raising two young boys. A five-time Olympian ('92, '94, '98, '02 for Alpine Skiing and 2010 for Ski Cross), Aspen's Casey Puckett has been a star on skis since childhood. He made the US Ski Team as a teenager and spent well over a decade on the FIS Alpine World Cup circuit before transitioning to skiercross. In the six-man no-holds-barred format, Puckett's powerful starts made him a star. The first skier to win X Games gold in front of the hometown crowd in Aspen, Puckett did it twice in Skier X -- 2004 and 2007. He retired after the 2012 season and currently coaches skiing at the Aspen Valley Ski Club. 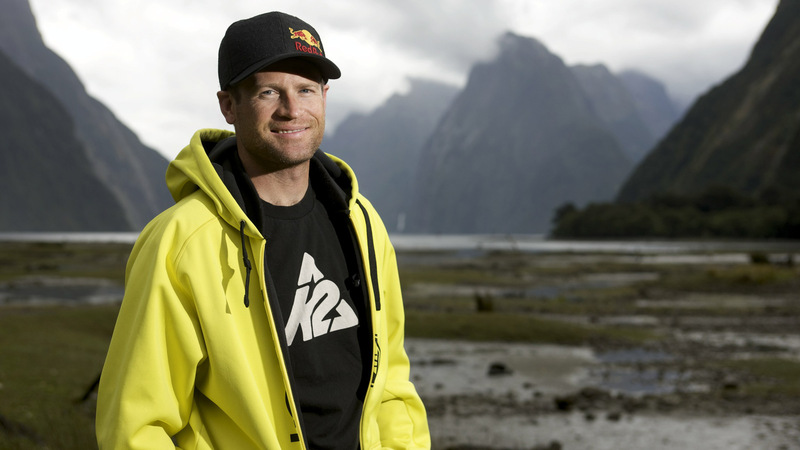 Shane McConkey had been pushing the progression of skiing for well over two decades when he died ski-BASE jumping in 2009. The star of countless ski films, Shane is perhaps most remembered for his role as "Saucer Boy" -- the ridiculous character he created for Matchstick Productions that gained cult status in ski towns everywhere. A former X Games medalist (silver, Skier X 1998), Shane also invented of the Volant Spatula -- the first reverse camber ski that ultimately changed powder skiing for everyone. He is survived by his wife Sherry and daughter Ayla who reside in Squaw Valley. 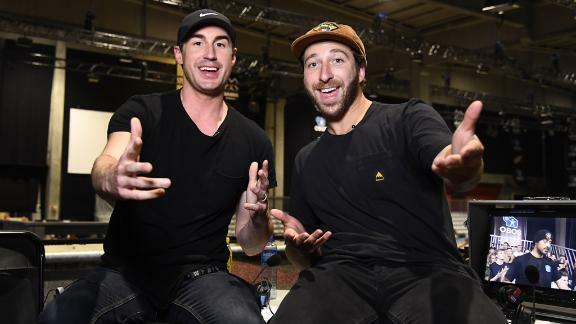 From the slopes of Nagano to the David Letterman Show and Saturday Night Live, there is perhaps no skier who has enchanted the American public like 1998 Olympic gold medalist Jonny Moseley. 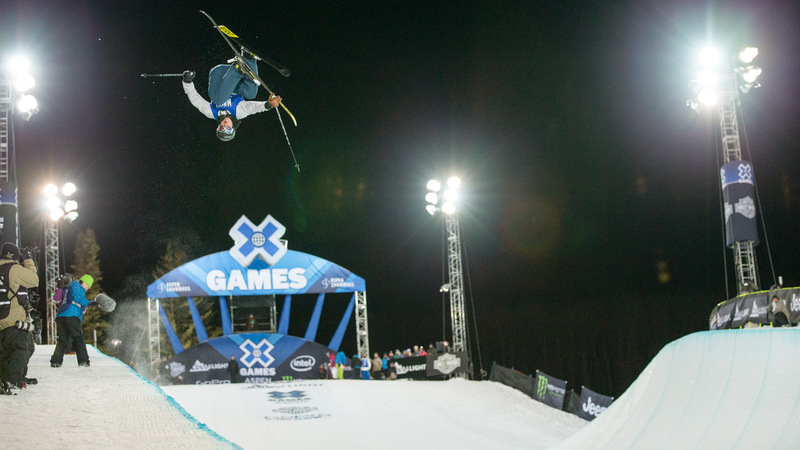 The World Cup mogul skier became the first athlete to earn medals at both the Olympics and X Games when he earned Big Air silver at XG back in 1999. Now a popular TV host, Moseley, who is also a graduate of UC Berkeley, has appeared on MTV's The Challenge, NBC's American Ninja Warriors, ABC's Skating With the Stars and as an analyst for ESPN and NBC. They called her the "Lady Dominator." 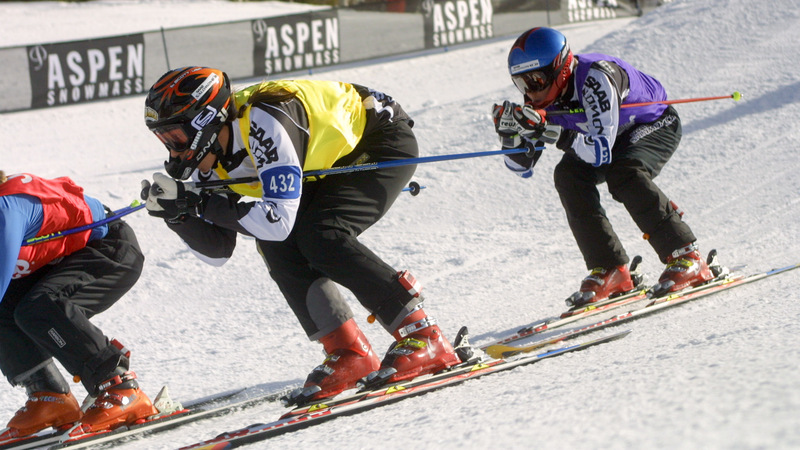 A former speed skier from Whistler, BC Canada, Aleisha Cline was an alternate for Skier X back in 1999. She got added to the roster just hours before the comp and claimed a stunning win. She's one of a handful of athletes to ever make if off the alternate list and net gold. A powerful glider who was impossible to pass once she got out in front, Cline dominated the discipline for three straight years. Her success inspired the next generation of women skiercross competitors, and Canada now boasts some of the best women racers in the world. 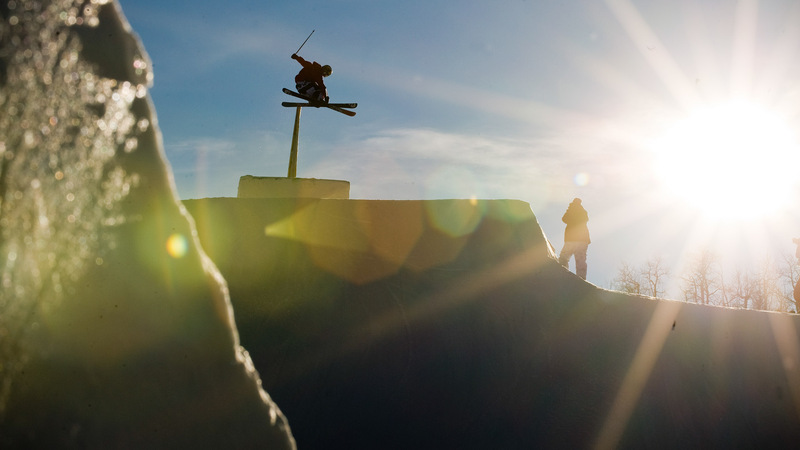 With one of the biggest grassroots following in all of freeski, Pittsburgh native Tom Wallisch dominated slopestyle competitions from 2009-2012. 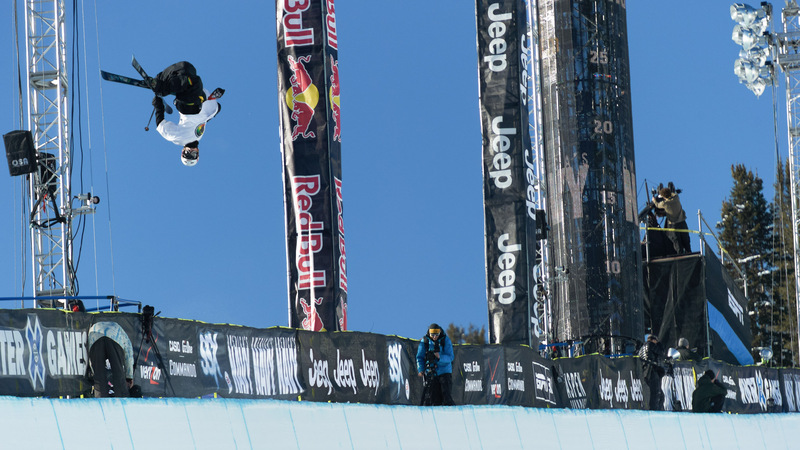 Known for his finesse on jumps and innovative rail skills, the 2012 Slopestyle gold medalist even made the dean's list twice at the University of Utah while competing. 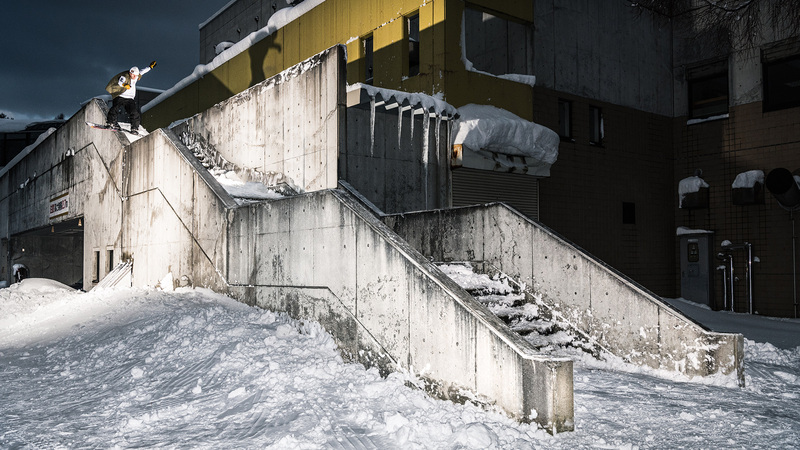 Wallisch has produced some of the most popular ski flicks of his generation including the Wallisch Project made in conjunction with ESPN in 2013. 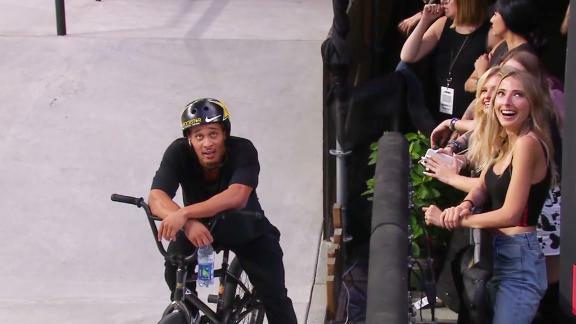 In addition to filming, he now works as an analyst for ESPN's X Games. Sweden's Henrik Harlaut wins over the fans wherever he goes whether he's touring small ski resorts or competing in city big airs. 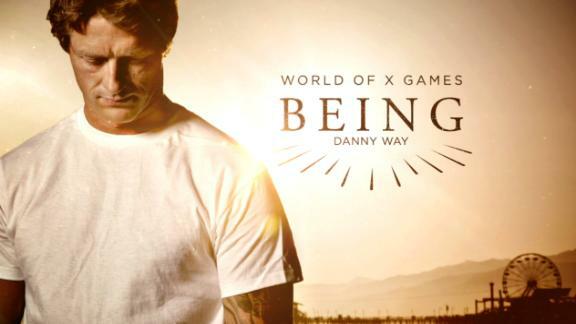 A gifted jumper with unmatched creativity, he's earned four Big Air gold medals at X Games -- the most gold of any male skier in a single discipline. 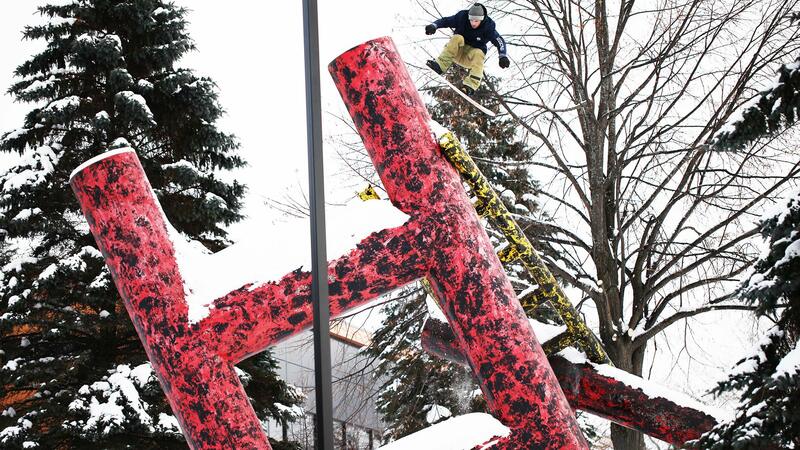 Known for his nose-butter take offs, Harlaut is no slouch on the Slopestyle course either. He has X Games silver from 2013 and is a two-time winner of the Dew Tour (2016 and 2017). There is perhaps no skier that has integrated his park skills into the backcountry better than Sammy Carlson. 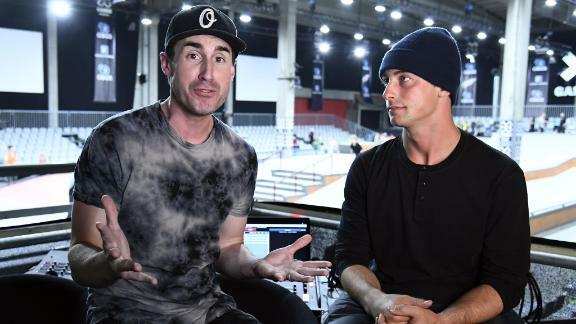 The Oregon native captured four Slopestyle medals at X Games, including gold in 2011, before walking away from competition to focus on filming. While a bit of a gamble at the time, it was soon apparent that Carlson's career was meant to go off-piste. He's since won ESPN's Real Ski competition three-times taking backcountry jibbing to another level. When David Wise wins, everyone wins. So is his motto. 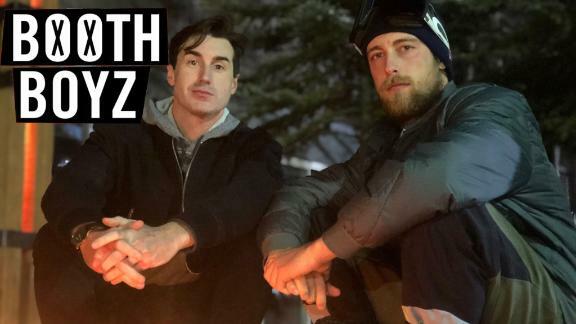 Not only is the 2014 Olympic champ and three-time X Games SuperPipe gold medalist a threat at every contest he enters, but he also donates 10% of his winnings to charity and non-profits. Want another reason to cheer for Wise? This family man -- wife is Alexandra and children are Nayeli (daughter) and Malachi (son) -- frequently does volunteer work overseas when he's not skiing. 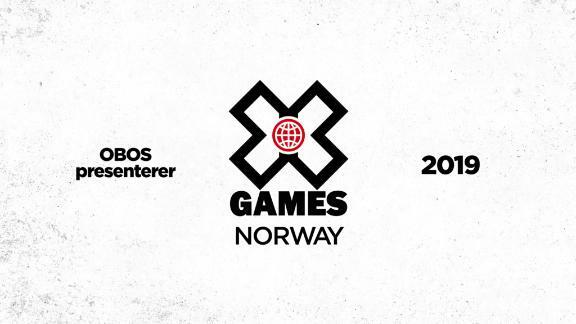 The first woman skier to win XG gold in a trick discipline (2005), Grete Eliassen was at the forefront of the women's freeski movement. 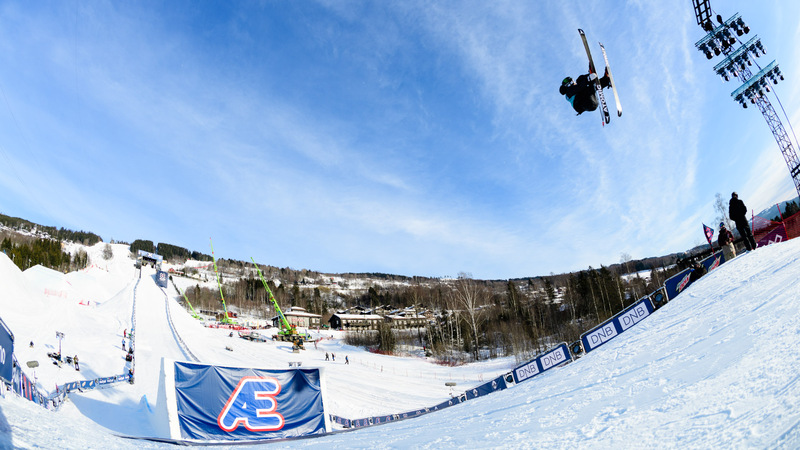 From 2005-2011, she earned six medals between SuperPipe and Slopestyle. A former ski racer at the Europa Cup level, Eliassen is a great all-around skier who is also known for her jibbing exploits in the backcountry. Her ski film, "Say My Name," released in 2010, was a major milestone for women skiers because it was produced by a woman (Eliassen) and featured all women skiers. These days, Eliassen continues to champion women athletes as the president of the Women's Sports Foundation. 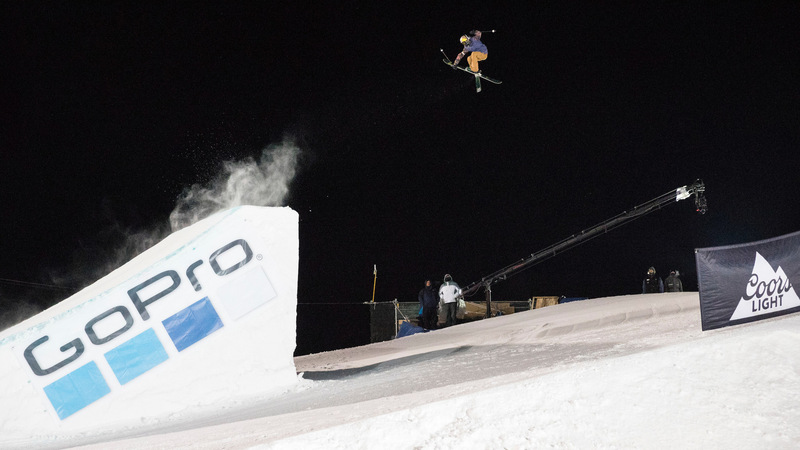 One of the first skiers to pick up coveted sponsors like Target and Red Bull, Simon Dumont brought an unprecedented excitement to Men's SuperPipe during his 14-year tenure at X Games. Known for his awe-inspiring amplitude, he earned 8 medals in the discipline, including two gold. 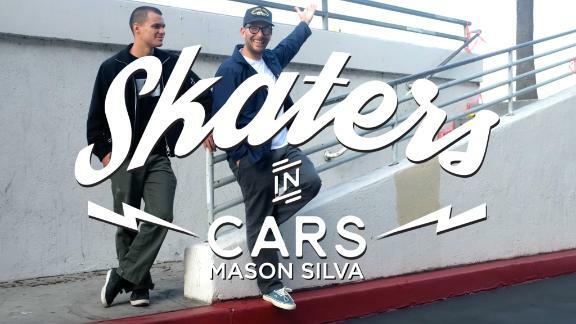 X Games wasn't the only place where Simon soared. In 2008, he set a world record when he boosted out of a custom built quarterpipe (38-ft tall and 78-ft wide) and flew a breathtaking 73-ft above the ground while throwing a cork 900. One of the most respected ski mountaineers in the world, Aspen's Chris Davenport was the first person to ski all fifty-four of Colorado's 14,000-foot peaks in less than one year. While he spends most of his time going uphill these days, that wasn't always the case. 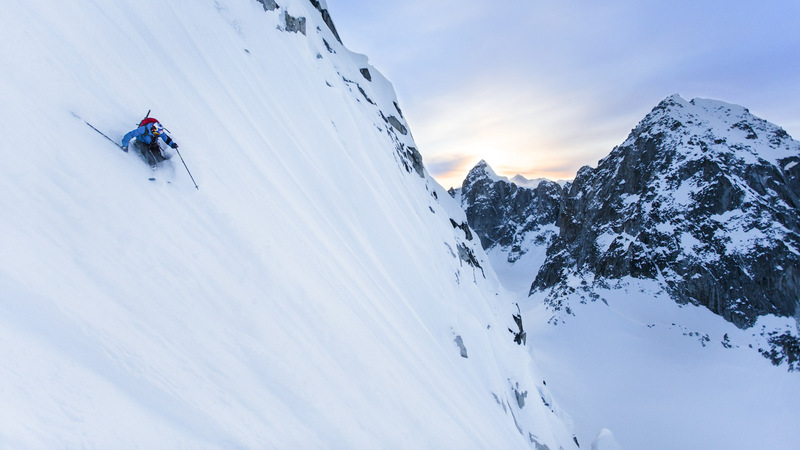 A former ski racer for the University of Colorado, Dav won some of the early extreme skiing contests and was regarded as one of the best big mountain skiers of his time. He competed in Skier X three times, earning a bronze back in 1998, before enjoying a stint as one of ESPN's analysts in the booth. The most dominant women's Slopestyle skier ever, Canada's Kaya Turski racked up seven XG medals during her career including four gold. A former inline skater, Turski was a gifted rail skier who stood out from her competitors for years. 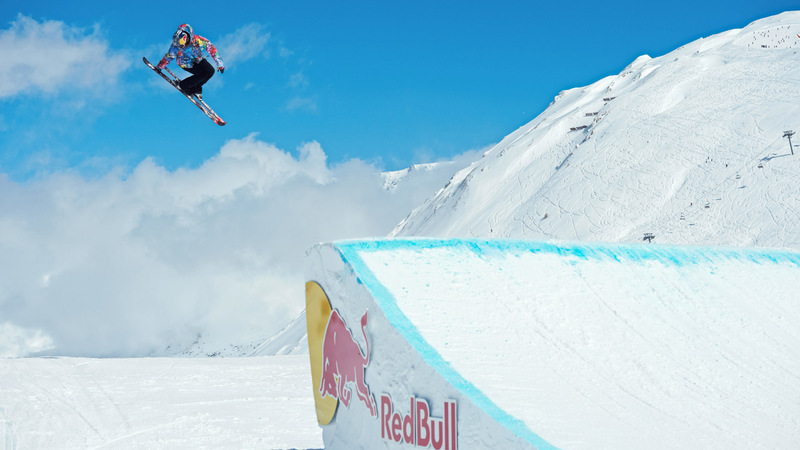 She was the first woman to land a switch 1080 and the second to land a double cork. 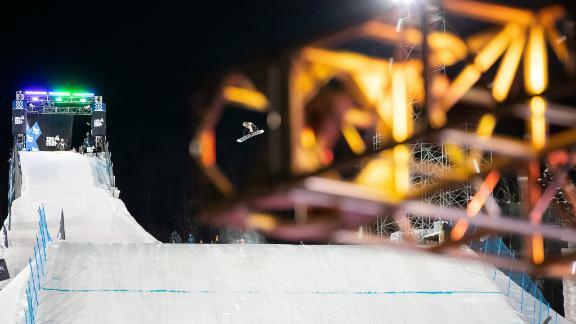 Turski retired at the end of the 2017 season, leaving in her wake one of the most talented slopestyle fields in the history of the sport. 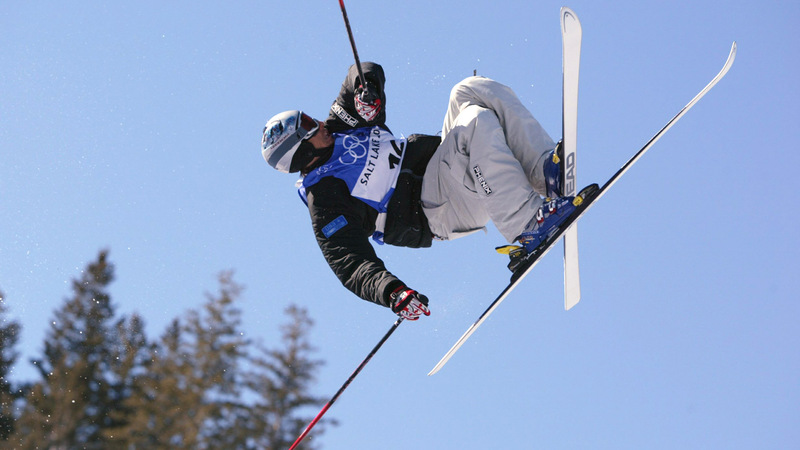 There is currently no other skier who dominates in all three disciplines of skiing like Gus Kenworthy. In 2016, Kenworthy medaled in every XG event he entered between Aspen and Oslo taking home medals in SuperPipe, Slopestyle and Big Air. Soon after, he received an ESPY nod for Best Male Action Sports Athlete (winner Ryan Dungey). Kenworthy's reach extends far beyond the ski hill these days. In an October 2015 ESPN The Magazine story, he announced publicly that he was gay, becoming the first male action sports athlete to do so. He now uses his voice and position as a world-class athlete to empower others through campaigns like P&G's #LoveOverBias. With 847k Instagram followers, Sweden's Jon Olsson is one of the most popular skiers ever. And who wouldn't want to follow Olsson's life? He drives fast cars, has a beautiful fiance, spends his days making Vlog posts from his home in Monaco and was named one of Sweden's sexiest men by Elle magazine. Olsson wasn't always the glam face of skiing, though. At his first XG in 2001, he flew under the radar finishing eighth in Big Air. That was the last time he failed to leave an impression on skis. Over the course of the next nine years, he went on to earn 10 XG medals between three disciplines -- the second most skiing medals in history. When Olsson bid adieu to X Games in 2009, he returned to alpine ski racing and eventually worked his way up the World Cup -- an unheard-of feat. With 847k Instagram followers, Sweden's Jon Olsson is one of the most popular skiers ever. And who wouldn't want to follow Olsson's life? He drives fast cars, has a beautiful fiance, spends his days making Vlog posts from his home in Monaco and was named one of Sweden's sexiest men by Elle magazine. Olsson wasn't always the glam face of skiing, though. At his first XG in 2001, he flew under the radar finishing eighth in Big Air. That was the last time he failed to leave an impression on skis. Over the course of the next nine years, he went on to earn 10 XG medals between three disciplines -- the second most skiing medals in history. When Olsson bid adieu to X Games in 2009, he returned to alpine ski racing and eventually worked his way up the World Cup -- an unheard-of feat. 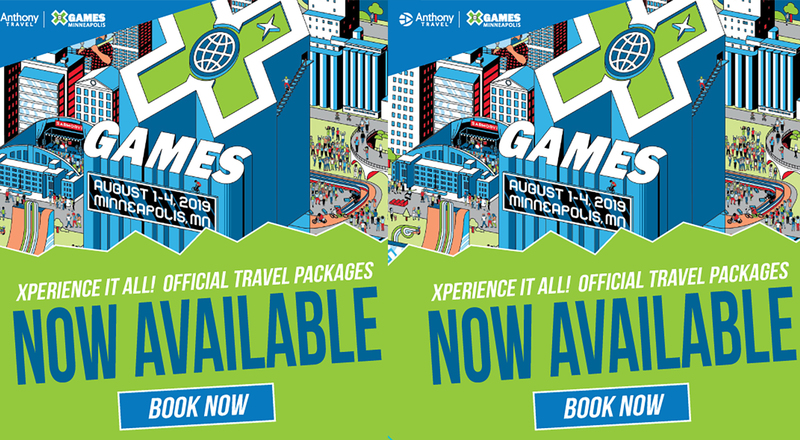 Tanner Hall's name is synonymous with X Games. He first competed at XG back when he was 16 and was a fixture from 2000-2009. 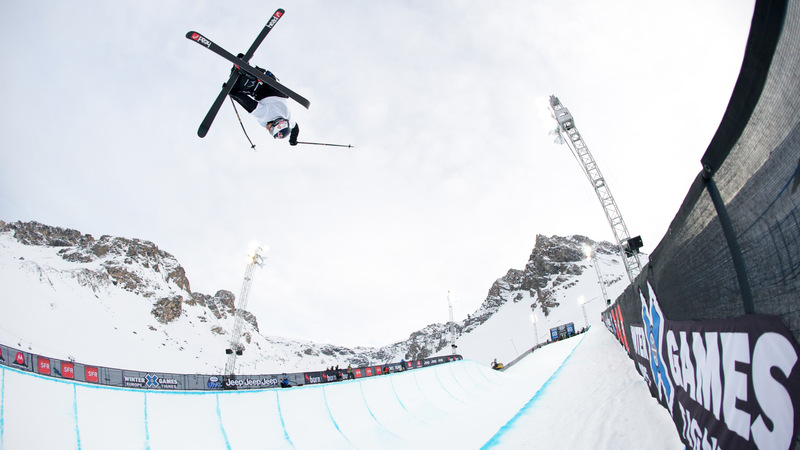 He dominated Slopestyle first before moving onto SuperPipe becoming the only skier to three-peat in both disciplines. 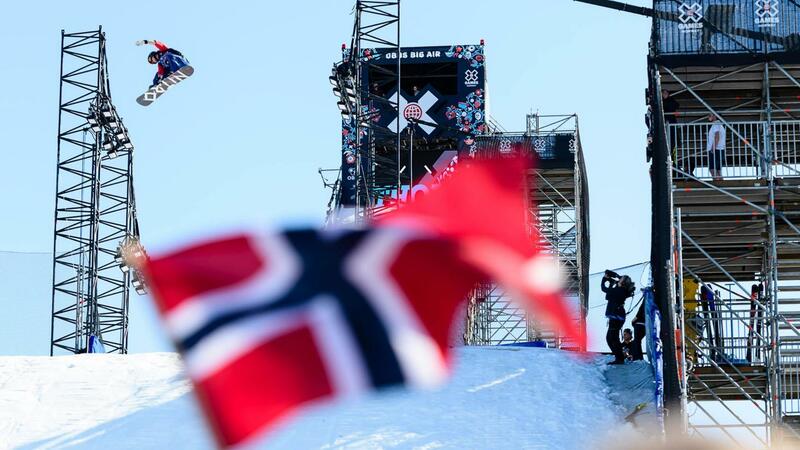 His yearly pipe battles with friend and nemesis Simon Dumont, made Men's SKI SuperPipe one of the most exciting events at XG. One of the original founders of Armada Skis, Hall was the most influential and mimicked skier of his generation. He still trots the globe in his Mercedes Sprinter van making video edits of his backcountry skiing exploits. 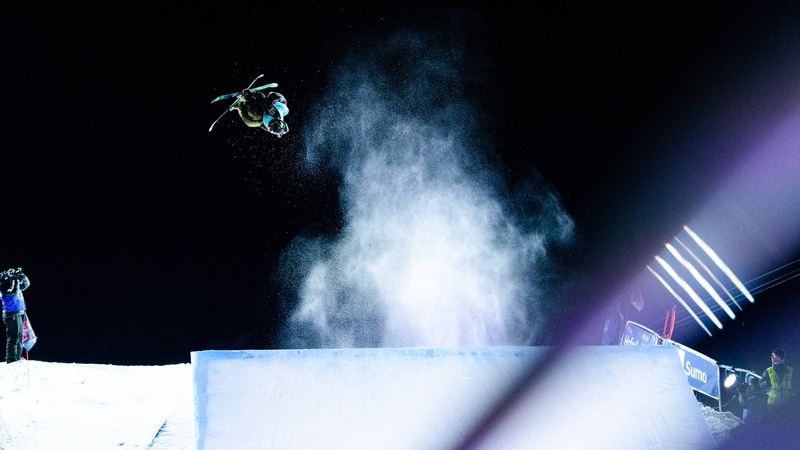 Simply a prodigy on skis, Kelly Sildaru was only 13-years-old and 88 pounds when she first ruled the women's Slopestyle course at XG in 2016. She's the youngest athlete to ever win a winter event. She has since gone on to dominate women's slopestyle and big air -- pushing women's park skiing to a whole new level. From Jan. 2013 to Aug. 2017, Sildaru podiumed at 25 AFP-sanctioned slopestyle, winning 23 of them. Still only 15, Sildaru is a star in her homeland of Estonia. The former Prime Minister of the country even acknowledged Kelly on social media during XG Aspen 2017. 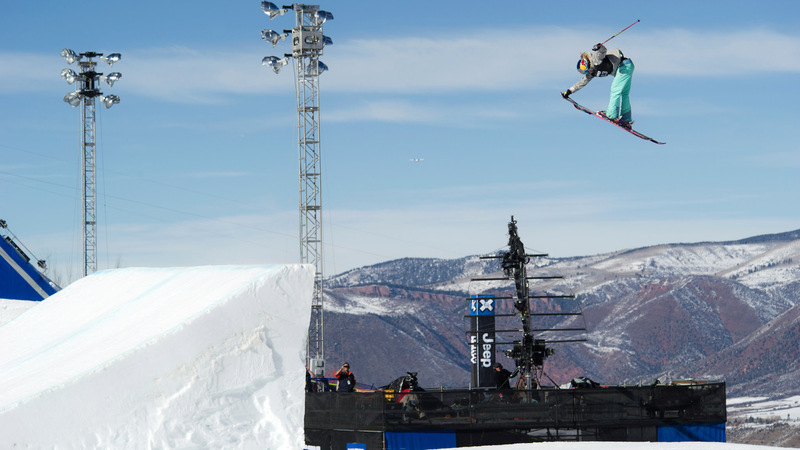 No woman changed the trajectory of women's freeskiing like Sarah Burke. A pioneer of the sport and mentor to all, Burke pushed hard for women's skiing to be added to events like the X Games and the US Open. 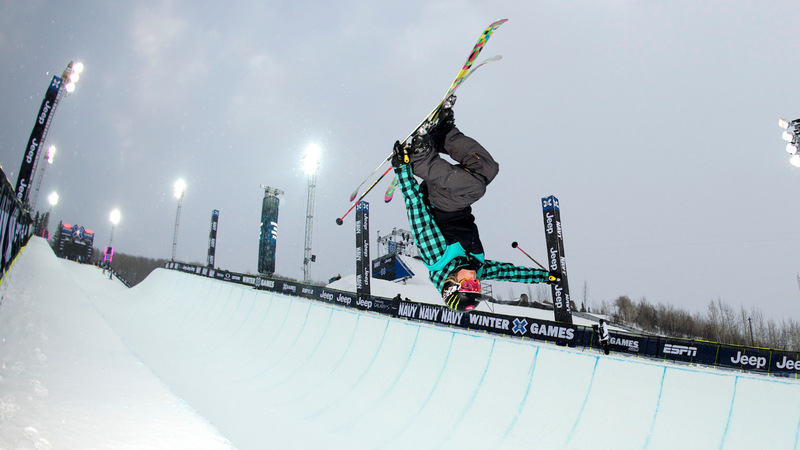 During her X Games career, she netted six SuperPipe medals including gold from 2007-2009. She also became the first skier ever to win an ESPY, when she won "Female Action Sports Athlete of the Year" in 2007. 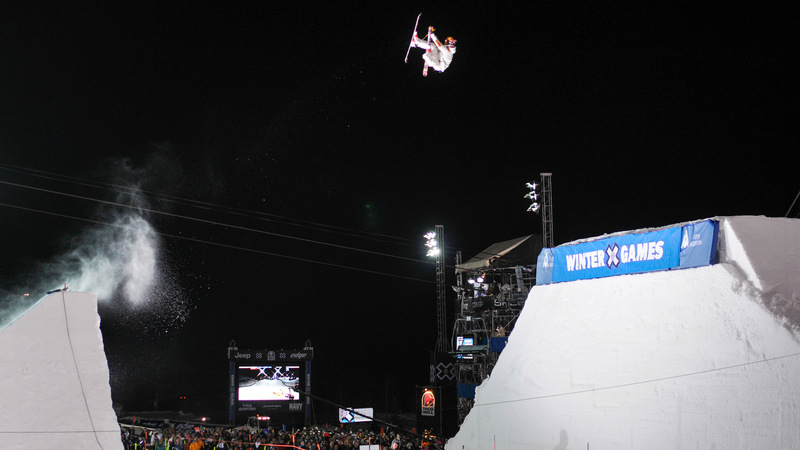 Hearts broke everywhere when Sarah passed away on January 19, 2012 after falling on a routine trick in the superpipe. Gone but not forgotten, no one would have been prouder to see the progression of women's skiing over the last six years than Sarah.